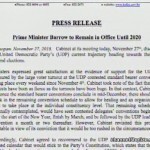 Home » Featured, Miscellaneous, People & Places, Politics » PM Barrow Cancels Early Retirement, A Monkey Wrench in U.D.P. Leadership Succession? 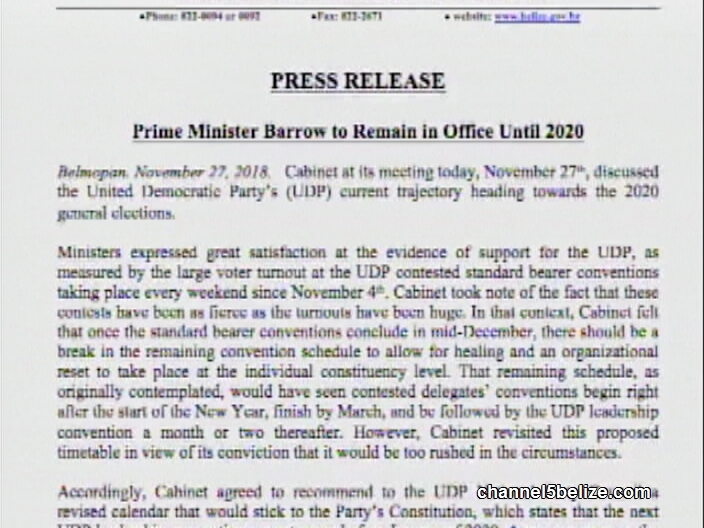 There is a major shift in the power play in the United Democratic Party in regards to the retirement of Prime Minister Dean Barrow. 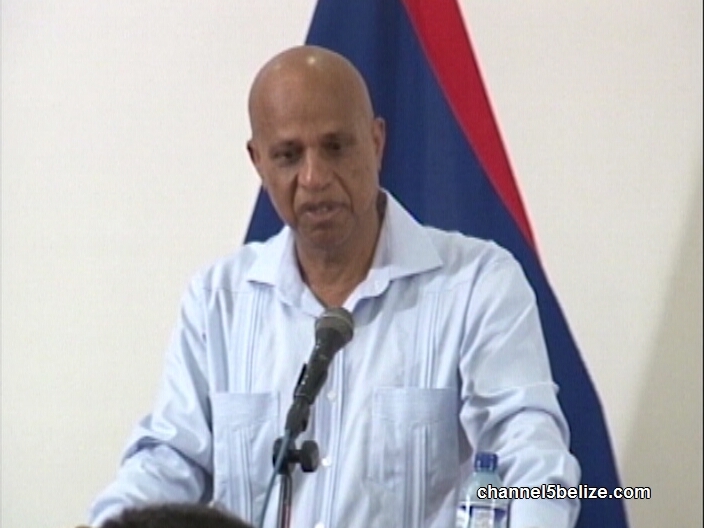 The PM has decided to stay in power and ride out his term in office which expires in 2020. This was announced today in a rare release following a meeting of cabinet. Last week, cabinet members who do not have confidence in the two known aspirants for succession, asked the PM to remain in office. At today’s sitting, that point was reinforced and he so agreed. 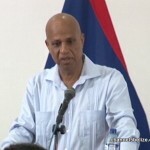 Deputy Prime Minister Patrick Faber, on Monday night, confirmed to News Five that he was in Australia and was not at last week’s meeting. Neither was he at today’s sitting. John Saldivar is said to be in concert with the decision. It means that for both, their ambition to serve as prime minister in the last leg of the U.D.P. term is on hold and so is the previously scheduled leadership convention. To add to the drama, a new scenario is quickly evolving. 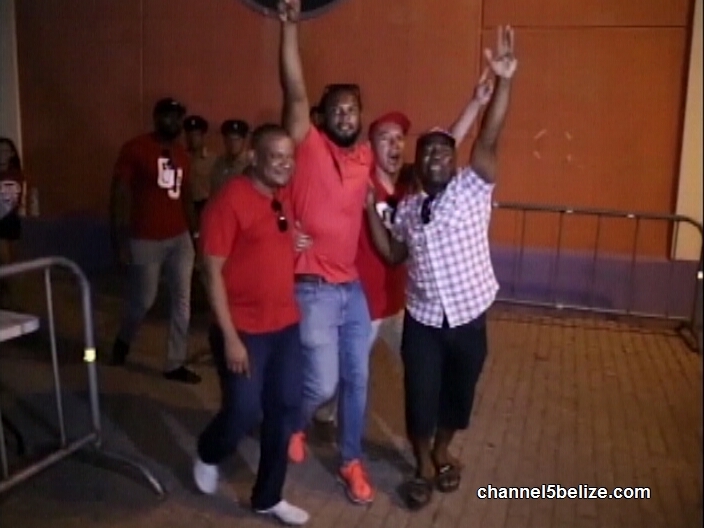 Attorney General Mike Peyrefitte, who was unsuccessful in his bid for Port Loyola, may very well just move over to Queen Square where the PM’s sister is saying that she is weary of the Belmopan bureaucracy. What’s more, we have learnt, the U.D.P. constitution allows for persons to contest leadership without being elected to the House. News Five’s Isani Cayetano has the twists and turns in the U.D.P. politics. 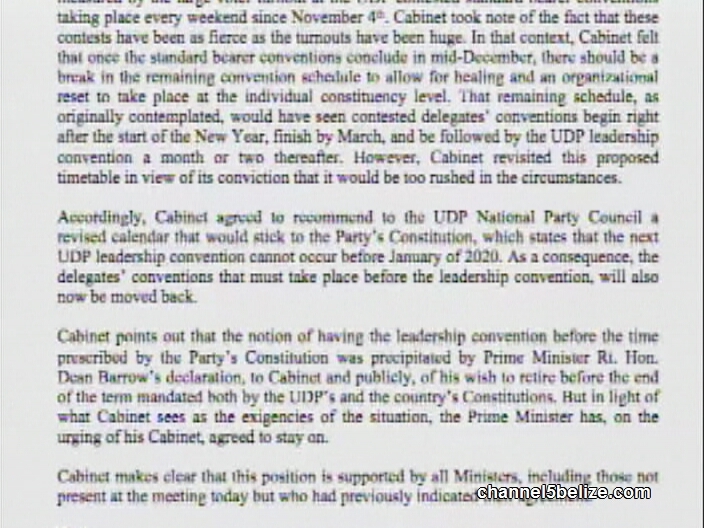 A succession timeline during which a new leader of the United Democratic Party would have taken the reins from Prime Minister Dean Barrow, has been formally called off. Back in May, the head of Cabinet outlined a schedule for his departure from office, one year before the November 2020 general elections. 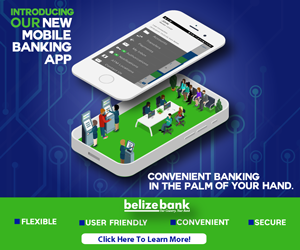 His early retirement would have paved the way for a subsequent party leader to become Belize’s next prime minister, a move which would have given his heir the experience necessary to run the affairs the country. True to its initial chronology, the U.D.P. has been holding standard bearer conventions in various constituencies across the country since November fourth. Those included Port Loyola, where Attorney General Michael Peyrefitte was defeated at the polls by former city councilor Phillip Willoughby. 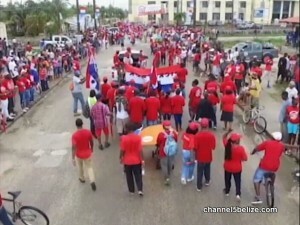 A total of seven conventions have been held as of that date and, according to the party, the momentum gathered via the large turnout of supporters, has prompted a request for the prime minister to remain in office. During a Cabinet meeting earlier today, it was unanimously agreed that PM Barrow will stay for the duration of his term, canceling that previous schedule of events. 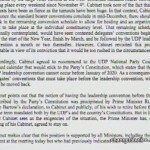 So how will that sharp turn affect the pending leadership convention? At a press conference in mid-May, he summarized the party’s constitution where that is concerned. 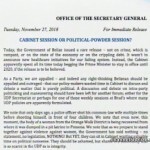 A press release points to the need for a break in political activities within the party in 2019, however, News Five understands that it was made clear during today’s Cabinet meeting that neither Deputy Prime Minister Patrick Faber nor Minister of National Security John Saldivar is favored to succeed PM Barrow. 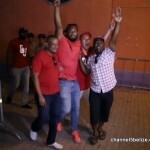 As such, it was agreed, quote, to recommend to the UDP national party council an updated calendar that would stick to the party’s constitution. That constitution expressly states that a leadership convention cannot be held before January 2020. As a consequence, the delegates conventions that must take place before the leadership convention, will also now be moved back, unquote. 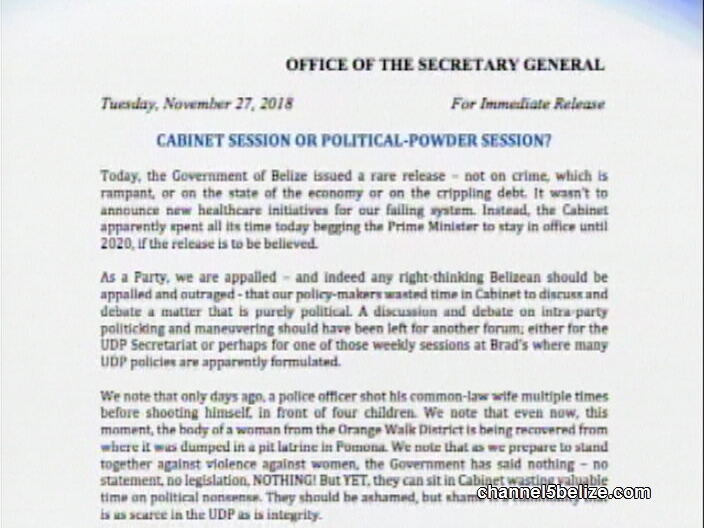 This evening, the People’s United Party fired off its own press release criticizing the use of a Cabinet session to discuss intra-party politics. It said, “As a party we are appalled and indeed any right-thinking Belizean should be appalled and outraged, that our policymakers wasted time in Cabinet to discuss and debate a matter that is purely political.” Reporting for News Five, I am Isani Cayetano.